Inspiring and encouraging the world..
Everyone needs words with wisdom at some point in their life. My objective with this book was to write words that could bring encouragement, inspiration and comfort to anyone that may need them. We all go through things in life that are sometimes, well, just really hard to comprehend, accept or understand. Finding out that someone else has gone through similar things and knowing someone understands can make us feel a little more comfortable in our own skin. 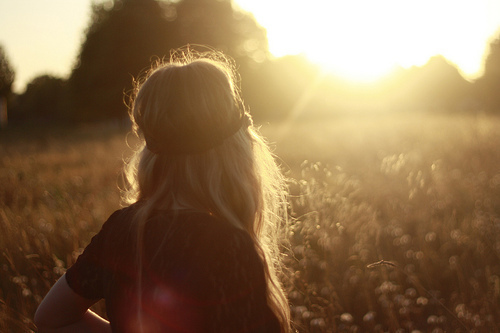 Life is a learning lesson every day, with every new adventure, or tragedy that comes along. The only way to make it through your journey is to stay positive. That is sometimes easier said than done. I have found that with words of encouragement, and understanding, it helps others deal with these times in their life, and also brings new insight where before there was just sorrow or confusion. I hope that this first book in the Words With Wisdom series will help you see the positive side of life, inspire you to not let the negative side get you down for long and just help you feel better. I was asked to speak and tell others about my story, and so I did. It did wonders to help me heal my pain inside that I thought would never heal. I still am amazed that anyone would be interested in hearing about the things I've been through in my life, let alone say that they not only have been through similar situations but are grateful to me for sharing how I've learned to deal with it all. I am still floored by all the email that I receive at times, expressing how much my story touched them in some way. When I read an email from someone that tells me something in my book was relative to something going on in their lives and how much my words have helped them, it makes everything I've done up to this point, worth it. Having someone understand what you are going through is critical in your healing process, I know, because I had no one until I learned to rely on the Lord and then on myself. Living our lives is the easy part, surviving it is the hard part. Being able to reach out to others through my book, social media, my radio broadcasts and speaking directly with women in battered women's shelters, church groups, etc., has helped me not only be able to help others but myself as well along the way. We all have a calling. Some of us find ours, others may miss theirs because they didn't realize what it even was. It's interesting how sometimes your purpose in life is not at all what you thought it would be. One day you may just open your eyes and realize you are sitting right in the middle of something that you were doing all your and never realized before that it was not just something you do for fun, it's something you do as a purpose or a calling; it's then that your epiphany becomes your new reality. Don't put barriers on your life, by limiting yourself to what you think your purpose is. Open up your ears, your heart, and your life to other possibilities. I'm not sure if writing is necessarily my calling or a blessing in a way that I will never understand, but what I do know is that I am much more complete by being able to help others by sharing my stories. Be kind to yourself, today, tomorrow and always. Due to my family going through a medical crisis this year, speaking engagements are being rebooked after June. If you have a booking that has not been rescheduled please contact me asap at ctolbirt@gmail.com. I think we are finally getting the website email up and running and that should be fixed, hopefully by next week or end of April, 2016. Thank you so much for your patience. Also, thank you all for the prayers for our family during this difficult time. Click on the book below and order now! 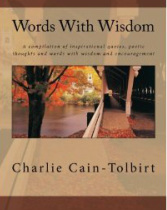 The first book in the Words With Wisdom series is now available for purchase on Amazon.com. I'm not sure how I finished early, and wasn't expecting Amazon to launch it until next week, but I just couldn't keep it to myself. I want you to know there may be some stuff that you loved, that you don't see in the book. There was so much to this book that I had to break it up into two. So yes, there will be a follow up to Words With Wisdom coming soon. All of the problems with the Kindle edition has been resolved, and it's is available on Amazon.com as well, if you are Prime member, you can borrow the book for FREE! I pray that you will find something in this book that will hit home and encourage you. "Love doesn't have to be returned in order to exist, it must simply exist in order to be returned"
All rights reserved. This publication, or parts thereof, may not be reproduced in any form without permission from the publisher; exceptions are made for brief excerpts used in published reviews or with the express written permission of Charlie Cain-Tolbirt.